Growth of the world economy is expected to slow as the US-China trade conflict takes its toll and undermines confidence, the World Bank said Tuesday in its semi-annual forecast. Rising trade tensions are the most high-profile risk to the global economy but the World Bank warned of other lurking dangers on Tuesday in its semi-annual Global Economic Prospects report. At the center of the turmoil, US economic growth is expected to slow this year by four tenths of a point, falling to 2.5 per cent down from 2.9 per cent in 2018, and to slow even further next year to 1.7 per cent. The report highlights a big jump in borrowing by the poorest nations, much of it in foreign currency and debt that increasingly is coming from private lenders that unlike the World Bank do not provide concessional terms. And, with the US central bank and others raising interest rates, borrowing costs are increasing. Total debt has risen worldwide to a record $184 trillion in 2017, according to the International Monetary Fund. 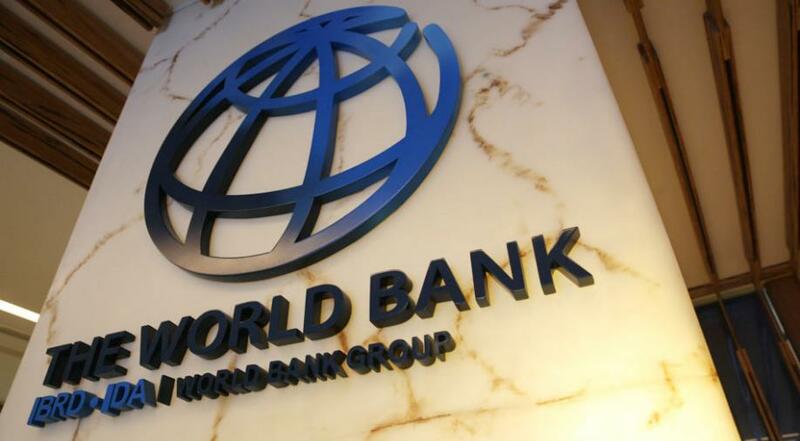 And the World Bank said low-income countries had seen public debt jump to above 50 per cent of GDP, up from 30 per cent in 2013. "Debt levels are concerns especially when you have financial conditions that are tightening," Kose said, noting that emerging market and developing economies "rely on external financing to roll over their debt liabilities." Corporate debt also has risen but "irrespective of the source of the debt, when you have balance sheet problems in a certain segment of an economy, ultimately it effects real activity," he said. "Borrowers need to understand the implications of rapid accumulation of debt while you have interest rates increasing at the global level." The World Bank said about a third of GDP in emerging market and developing economies comes from the informal sector, and in some countries the share is much higher. "Informality is a major problem many emerging market and developing economies," Kose said. "Ultimately informality is also a symptom of underdevelopment. So policies that promote growth also help improve the formal sector and provide the types of incentives for these informal firms to shift to the formal sector." A key factor is government investments that promote growth, whether in infrastructure or in human capital - which is especially critical to prepare workers for technological change. "All of these things will stimulate the economy in the short-term while improving the economy's long-term potential." Regulation too must be tailored to foster business activity, rather than impede it and "should not push firms to the informal sector." Kose cautioned: "This is not a problem you can solve overnight or over a year, this is a problem you need to solve over time." Another concern is the decline in per capita GDP growth in sub-Saharan Africa, which the World Bank says will average less than one per cent in the next three years. That makes it "very difficult if not impossible to have a meaningful reduction in poverty," Kose said. Given the existing poverty challenge in the region, "policymakers need to find ways to increase growth prospects of the region to address this issue." "As much as we think these problems are localized problems...at the end of the day they have implications for other countries, for other regions, and the problems require immediate attention." The share of the world's poor residing in the region could grow to 87 per cent by 2030 unless growth accelerates, the report warned.